Geico ads‘ only common theme is ridiculousness, but somehow it works. The flood of such a wide variety of ads reaches every target audience possible. There is a character or a cameo for everyone and always a gimmick to grab our attention. This strategy has allowed the online insurance company to become a household name without the advantage of storefronts. 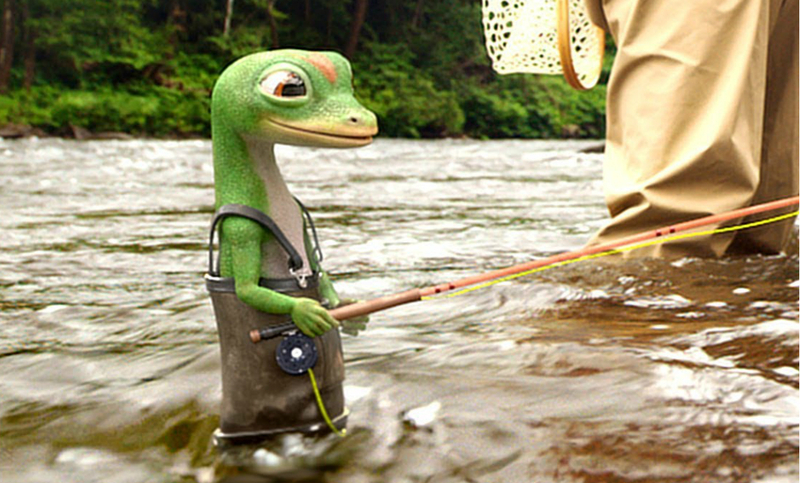 Geico ads don’t have to convince us to buy insurance—they just need to make us think of them when it comes time to. Everyone knows where 15 minutes can save you 15 percent or more on insurance. And whether it’s through a talking gecko or a pig crying “wee, wee, wee” all the way home, Geico has figured out how to get that messaging to stick. To celebrate their wide-ranging creative, they’re giving the public a chance to vote on their favorite Geico ad and enter for a chance to appear in an upcoming Geico commercial. Weeeeeeeee.